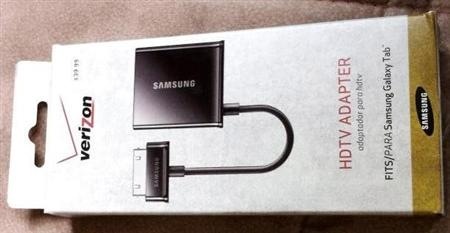 Samsung is now finally shipping the HDMI adapter that lets you connect your Tab 10.1 to your HDTV. Many online retailers have it in stock. Some Verizon retailers also have it in stock which from where I bought one for myself. 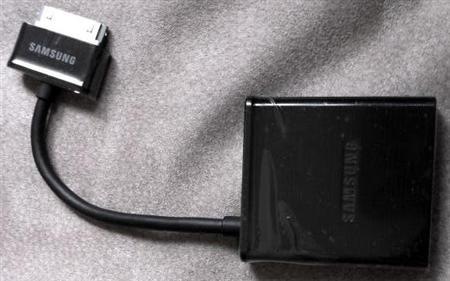 The Galaxy Tab 10.1 adapter worked like a charm immediately when I connected my tablet via a standard HDMI cable and travel charger. Videos, including high definition ones run very smoothly. Here is how it looks like. * Buy buy yourself a standard HDMI cable if you do not own one already. BTW, did you know you could also use the 10.1 Tab as mass storage?